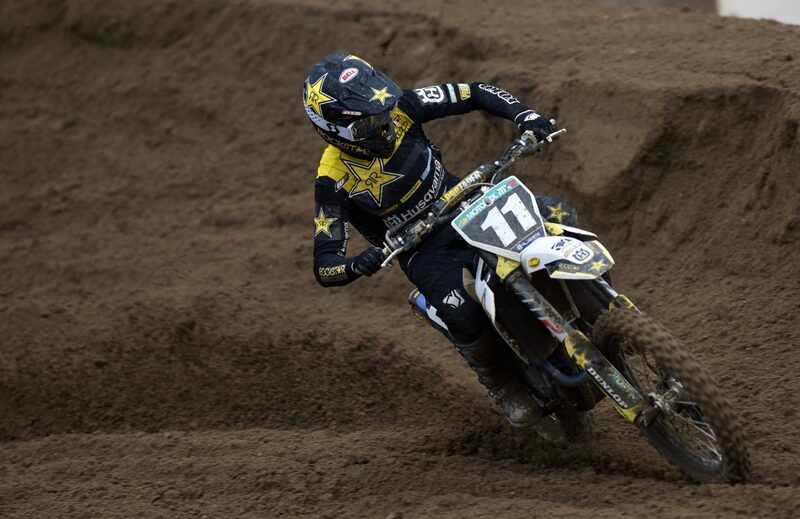 At the 2019 Internazionali d’Italia MX finale that took place at the Mantova circuit in northern Italy, Rockstar Energy Husqvarna Factory Racing rider Mikkel Haarup has claimed an eighth-place result in the MX2 category. After his impressive rides at the opening two rounds of the series, his performance at Mantova helped the young Dane solidify a highly-positive runner-up result in the championship’s final standings. With the soft sand of the Mantova track forming deep ruts during Sunday’s motos, Mikkel Haarup clocked up yet more valuable racing time aboard his FC 250 machine. Placing eighth in the MX2 moto, the young Dane came back to finish 13th in the combined MX1/MX2 Supercampione final. Back to competitive action after sitting out round two of the series, FC 450 mounted Arminas Jasikonis had high expectations entering the Internazionali d’Italia MX season finale at Mantova. Getting a good start in the MX1 moto, he was racing in eighth place when he frustratingly suffered a race ending crash. Arminas Jasikonis and Mikkel Haarup will return to action on February 17 for the 2019 Hawkstone International MX, where they will be joined by Rockstar Energy Husqvarna Factory Racing MX2 team members Thomas Kjer-Olsen and Jed Beaton.